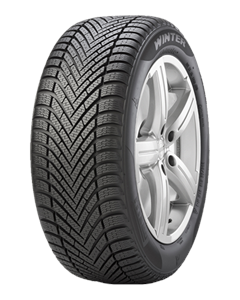 The Pirelli Cinturato Winter is a Premium Touring Winter tyre designed to be fitted to Passenger Car. The new Pirelli Winter tyre is designed for the aftermarket and intended for medium-sized cars that cover high mileage: typical of commuting and professional use. Its tread pattern and structure has been designed to provide safety and reliability in all conditions that characterise the winter months. Specifically, Pirelli’s engineers worked on ways to reduce braking distances: a mission that was accomplished thanks to the use of “Multiactive 4D Sipe” technology. This consists of directional sipes, whose form varies according to the driving requirements at the time. In other words, these sipes all line up in the same direction to maximise the effects of traction and braking on demand. While braking on a snowy surface, for instance, the sipes become harder, enabling the tread pattern to become more compact and the car to stop within a shorter distance. But when the car is trying to gain traction, the sipes open up in order to capture more snow and find the necessary grip. It’s a different story on wet surfaces, where the movement of the sipes as the car is driving heats up the tread compound, increasing grip. Traction is also maximised thanks to an increase in the density of the sipes. If all the sipes were laid end to end, they would form a line 40 metres long (the length of four buses). This is an increase of more than 50% compared to the principal reference tyre.